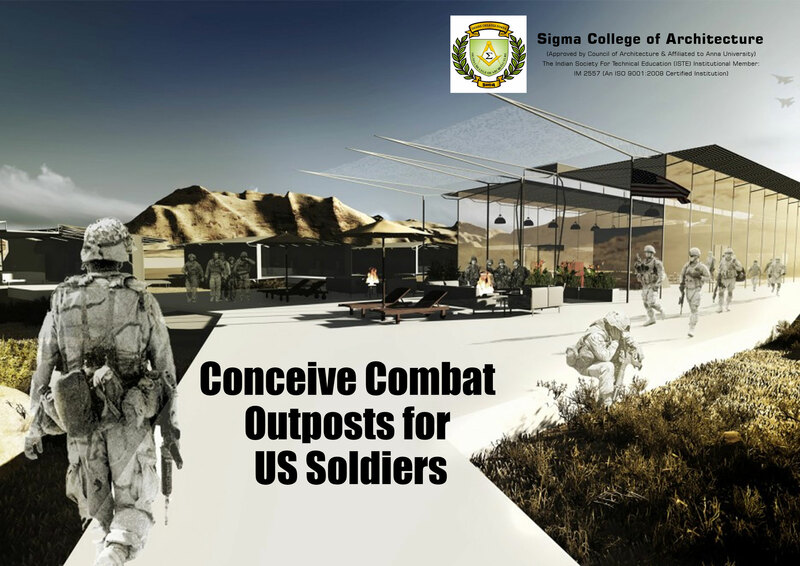 Graduate design students at Iowa State University have proposed seven different types of conceive combat outposts, or COPs, for US soldiers based in Afghanistan. The proposal is most likely to become a reality in the year 2020. The project is head by Professor Lee Cagley, chair of the school's interior design department. • A series of hexagonal structures made of shock-absorbing reinforced concrete and would be completed with an underground zen centre, - space for prayer and meditation. • An airy structure with an expansive, faceted canopy. Triangular skylights would bring in natural light while also providing views of the starry sky. • Buildings that would be centered on a long, central courtyard with exercise and lounge facilities. Translucent wall panels would be made of aluminum oxinitride and provide a sense of openness while able to easily withstand a direct hit from a .50-caliber round and a rooftop that resembles a mountainous terrain. To help inform their design concepts, the students toured Camp Dodge, a nearby Army base, where they studied a combat outpost that was used for training.